Baahubali- The “Perfect” Beginning | Ramcsays…. I would like to start off with saying that I have seen today an epic masterpiece. 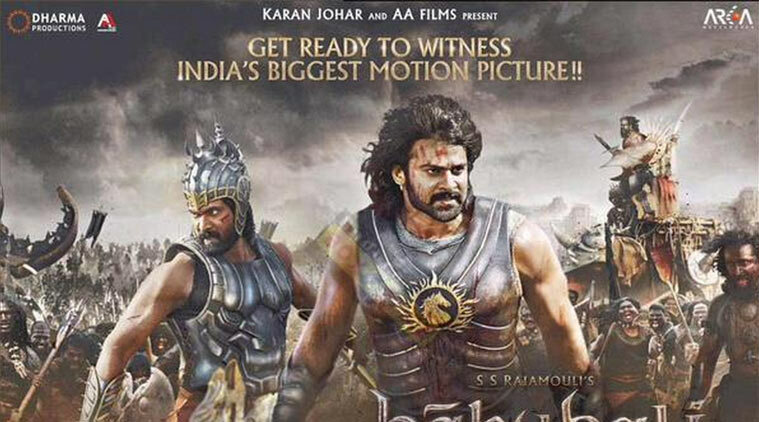 For sure Baahubali will be a blockbuster. Contrary to some opinions who say that the first half is boring and bit dragging, I would rather say the first half is the perfect stage for the establishment of the protagonist, antagonist and the related characters. The prelude was scripted in a perfect way that we cannot take any flaws out of it. Perfect sense of imagination of the director is the reason of what I witnessed today. I have seen few opinions quoting that first half was bit dragging, but in my opinion all I can say is people who felt that are waiting for action sequences right from the beginning of the titles , but any storytelling cant be that straight, they need to establish the characters, set a rostrum and take the protagonist towards his destiny. For example (spoiler ahead), Shivudu ‘s (Prabhas) inspiration is Avanthika and goes in search of her and that fascination will lead him to the top of the mountain. This is a perfect stage set for the protagonist showing to the audience that he is just another common man and no ideas of being a leader or for that matter a king. Now coming to the opinion of the abrupt ending as some say, all I can say, it is the perfect ending what I would have expected for. I would rather not think any other perfect way to end the first part. Spoiler ahead*, I never expected that he* would be the culprit who killed Baahubali. That’s a twist I would expect if I have to watch the next part. (Dangerous Spoiler ahead*), If Katappa mentioned Ballaladeva as the culprit who killed Baahubali, and then the next story would be very much anticipative and predictable. This ending will keep audience guessing and make people wait and watch for the next part (the way how the American TV series are made, suspense at the end of the episode). And coming to the VFX, CGI, I wouldn’t care much, I watched Baahubali for story, screen writing, the content and the originality viewpoint, albeit I would choose any other animated movie for visual effects. And CGI, VFX – we all know that they are just a decorative effort to make the situation look real. I can say that this movie should not be seen as an AVATAR rather should be seen as LOTR where story telling weighs more than the visual effects. I would like to conclude saying that Baahubali has everything that a blockbuster movie should have and a spectacular movie making skills will be witnessed in this grandeur and I accept RGV’s words – one should have balls of steel to make such movie in India and the success should not be weighed through the money it churns. Chris, this movie is well made and it has also subtitles, i would recommend this movie to you and watch it when ever you get time.